Nicole originally bought this beautiful vintage dress on etsy to wear to a wedding. Originally having sleeves, she eventually had them removed and wore it to another wedding. However, at the 2nd wedding, the dress met it’s demise as it did not survive the epic dancing. Insert creative repair here. 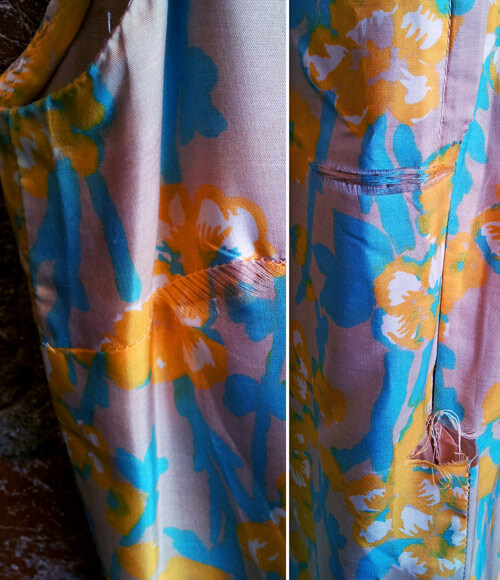 After looking through all of the damage, and the areas that we could still work with, we decided that it could no longer be a skirt. I showed her our lady ties, which I typically cut from vintage ties, but I was totally on board with cutting it from an old dress. She agreed and forward we went. Once the tie was finished, I sent her a picture with a few vintage button options, and after she picked her favorite out, this dress was ready for a whole new life cycle. 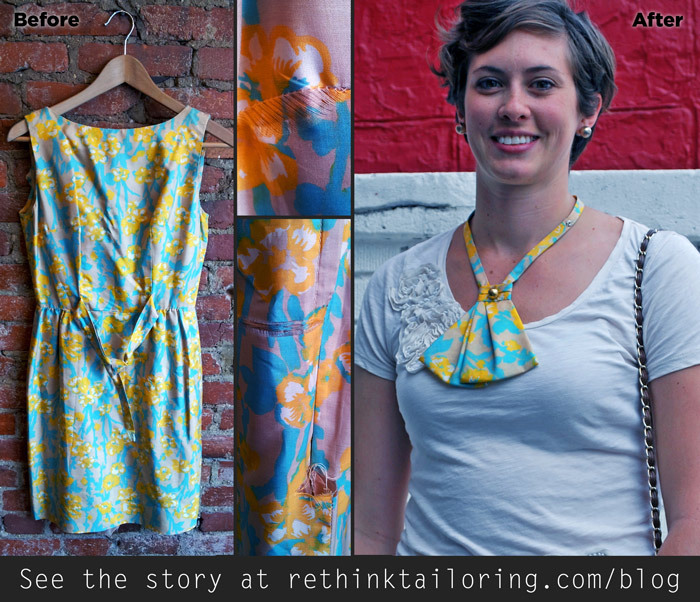 This custom lady tie is recycled, adorable, and ready to wear for work or for play! 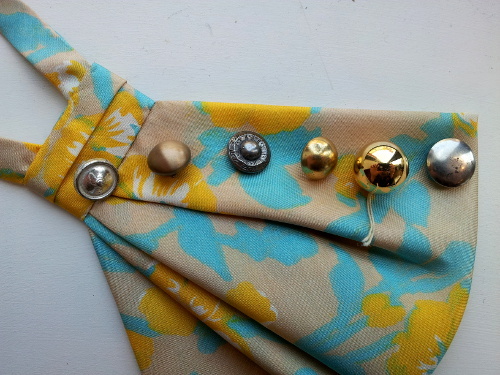 Do you have an old tie or dress that you would like turned into one of our Lady Ties? Shoot me an email at kristen@rethinktailoring.com and tell me about your project. Remember folks, I concentrate on recycling, so no new materials!